Closing submissions have finished in the trial of former engineer Robert Wood, who gave the Algo Centre Mall in Elliot Lake, Ont., a clean bill of health just 10 weeks before a portion of its rooftop parking deck caved in and killed two women on June 23, 2012. Closing submissions have finished in the trial of Robert Wood. The former engineer gave the Algo Centre Mall in Elliot Lake, Ont., a clean bill of health just 10 weeks before a portion of its rooftop parking deck caved in and killed two women on June 23, 2012. Now it is up to Justice Edward Gareau to decide if Wood failed to do the job he was hired for when he visually inspected the building in 2009 and 2012 — and if Jean-Marie Marceau, 80, was severely injured, and Lucie Aylwin, 37, and Doloris Perizzolo, 74, were killed as a result. "I know the families of Ms. Aylwin and Ms. Perizzolo would want me to come back on Monday ... I know Mr. Wood would want that as well," Gareau said on Friday. "I hope that every one will understand and, at least, respect the fact that I'm going to need some time to review and digest this." Gareau set July 25 as the date he will deliver his verdict. Gareau also set aside April 19 for defence lawyer Robert MacRae to have a charter application heard to stay Wood's charges. MacRae is arguing it took too long for his client to get a trial. Wood was arrested for two counts of criminal negligence causing death and one count of criminal negligence causing bodily harm on Jan. 31, 2014 — exactly three years before closing arguments began. Wood has pleaded not guilty to all three charges. Aylwin's father Rejean has been making back-and-forth, three-and-a-half-hour drives from Sudbury, Ont., to where the trial is taking place in Sault Ste. Marie, Ont. "Right now the Crown had really good points, and also Mr. MacRae had really good points," Aylwin said. "So we got to see what the judge is going to decide. That's all in his hands now." 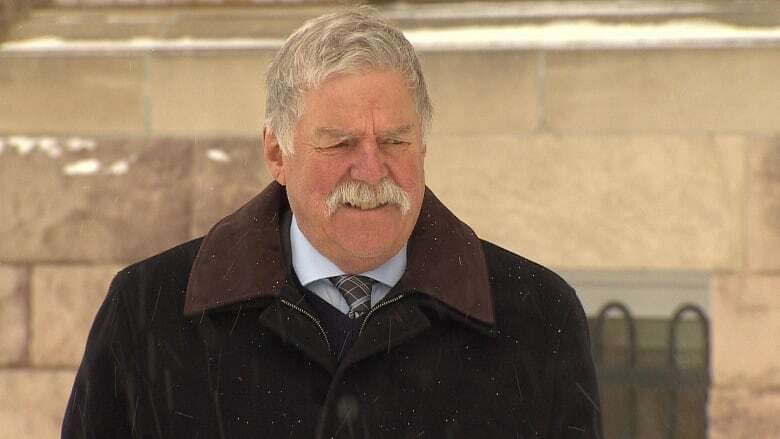 Aylwin said the testimony he's heard in court is comparable to what was said in the Elliot Lake Inquiry, which was launched to find the cause of the disaster and to prevent it from reoccurring. Still, it is not easy for Aylwin to hear about all the problems that led to his daughter's death. "If he [Wood] would've done a proper job, probably that [collapse] would never happen," Aylwin said. "But it's too late now. That happened." Superior Court heard from nearly 50 witnesses over the five month long trial. One engineering expert told the court it is conceivable that someone in his profession would lack the judgment to find severe corrosion in the shopping centre, and that would not be out of malice, but rather poor judgment. "He could've still concluded the mall was safe," Gareau said referring to the witness's statement. "It's negligent, but not criminally negligent." Crown prosecutor David Kirk took Gareau's point, but said Wood did not even do his job. "If he [Wood] had ... Described it [mall] for what it was and made a poor judgement call, we're not here. No one's here," Kirk said. "But that's not the evidence that you [Gareau] have before you. There's ample evidence to the contrary." During the Crown's closing arguments on Friday, Kirk compared Wood's structural assessments of the mall to the conditions described in a forensic analysis report on the roof's failure, and said Wood was "clearly wrong" that he only observed surface rust before the collapse. "Everything [in the report] was listed as severe to very severe," Kirk said. "How can he [Wood] call this surface rust?" Lack of notes, lack of action? Wood testified earlier in his trial that he only observed surface rust at the Algo Centre Mall. Wood also said he did not inspect the area of the building that eventually collapsed during his 2012 inspection because he did not believe the conditions he saw needed further examination, and he said he was told mall staff were planning repairs. Wood was "misled" by the mall's owner on the history of the structure's leakage, according to defence lawyer Robert MacRae who noted the 33-year-old building had been leaking since the day it was built. Along with not spotting the problems that led to the mall's failure, Kirk also took aim at Wood for poor note-taking. Wood lost or did not take enough notes, Kirk said. "When you don't report on it, no one can act on it," Kirk said about the mall's safety issues. "No one can take any steps." At the end of his remarks, Kirk looked at Gareau and told him he has a hard job. Gareau then looked down and shook his head.